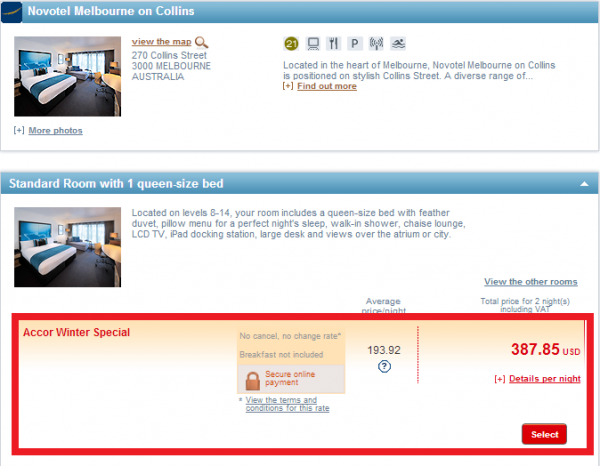 Accor is about to launch a Winter Sale for stays in Melbourne and Victoria between June 3 and August 31, 2014. You can get 20% off of stays of 2 nights or longer and double Le Club Accorhotels points (8% back at full service properties at the base level and 12% for Platinum members). You can access this sale on Accor’s website here . There are 21 participating properties in Greswick, Geelong, Glen Waverly, Melbourne, Portsea & South Yarra. The Winter Sale rate is 20% off but there is no indication of double points. I would wait until the booking window officially opens on June 3 or you may not get the double points for your booking per the offer T&C’s. 1. 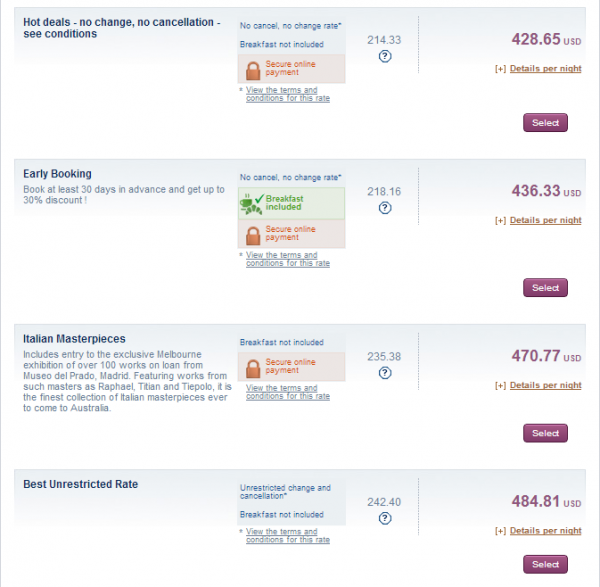 General Le Club Accorhotels terms and conditions apply to this offer. 2. This offer is valid for bookings made between 3 June and 31July 2014 on any Le Club Accorhotels eligibile rate (visithttp://www.accorhotels.com/gb/leclub/pdf/terms-and-conditions.pdf for a list of eligible rates and booking channels) for stays between 3 June and 31 August 2014 (both dates inclusive). 3. Minimum two nights stay applies to this offer. 5. This offer entitles Le Club Accorhotels Loyalty members, regardless of their status, to benefit from earning double points in participating hotels in Victoria. 6. To earn double points, bookings must be made either online via www.accorhotels.com or via Accor call centres ONLY and not direct with hotels. 8. Bonus Le Club Accorhotels points are credited to the member’s account within 10 days following the end of the stay.